Let me praise Thy boundless love. The Moravian missions to the mainland of North America started in 1735. For that reason Part II of this series will commence with that year. Before I arrive at that point in the narrative and analysis I must, if I am to cover the material properly, lay the foundation. That is my task in this post. 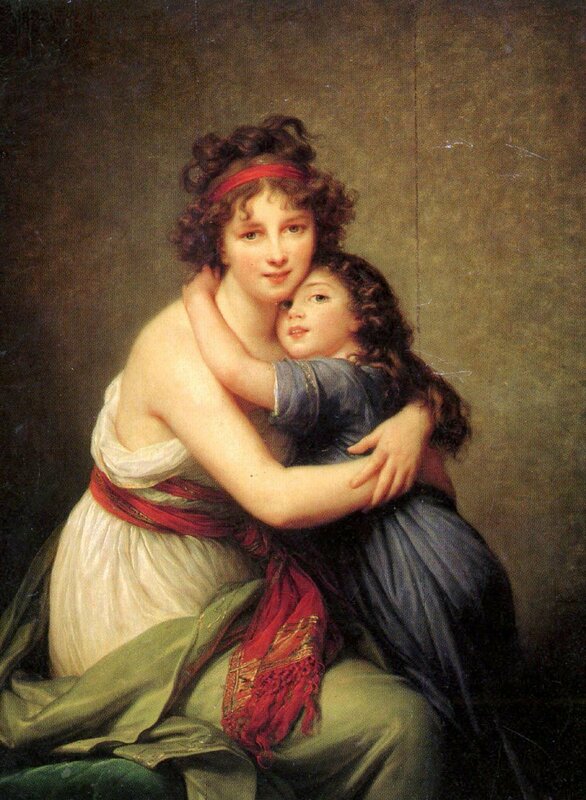 You, O reader, might find my background germane. My initial theological formation occurred in a series of United Methodist parsonages in the South Georgia Conference in the 1980s. In 1991 I converted to The Episcopal Church, the natural denominational choice for me. Since then my theology has gone through stages, becoming more Roman Catholic then less so then more so again then substantially Lutheran, but with Transubstantiation remaining in the mix. To that theological stew I have added Single Predestination (a Lutheran influence), so could not, if I wanted to do so, return to The United Methodist Church and remain intellectually honest. I left that denomination on amicable terms, not in protest against anything. My departure was a matter of going toward my spiritual home. At that home I intend to remain, for I was born to be an Episcopalian. Moravianism is, as constitutional documents of that Church state, a religion of the heart. Thus it has common ground with Evangelicalism (in the traditional American use of that word), especially the Pietistic side thereof. Pietism originated as an alternative to overly theoretical and academic Lutheran theology. Among the founders of Pietism was Phillip Jakob Spener (1635-1705), author of Pia Desideria (Pious Desires, 1675). Pietism is neither all good nor bad, but I, not a Pietist, note that it, in its extreme manifestations, devolves into legalism quickly and easily. Our Lord and Savior violated and rejected legalistic rules and got into much trouble for that fact, but many of his followers have, in his name, written new legalistic rules. The irony of that reality astounds and dismays me. consistent with this theology of the spoken word and the faithfulness of God. Franke, however, considered Luther’s theology on this subject inadequate and inaccurate. He insisted on the crucial role of an experience of conversion. Such an experience lack, but my Christian faith is genuine. So I, although regenerate in the Roman Catholic, Lutheran, and Anglican theologies of baptismal regeneration, am “born from above” if not “”born again” (in the familiar Evangelical use of that term). The emphasis on religion of the heart–that is, an emotional religion, leaves me quite cold, for I am more intellectual than emotional. Thus the high level or rationalism in Anglicanism appeals to me. And the overly individualistic nature of much of Evangelicalism (in the traditional American use of that term) –especially the Pietistic element thereof–contradicts the properly communitarian nature (inherited from Judaism) of Christianity. Yet the Moravians, I am glad to report, have a history of a strong communal focus. Their religion of the heart focuses not on their hearts but on the body of Jesus of Nazareth, as in the Liturgy of the Wounds. Before I proceed I ought to define some terms, so I do so now. Unitas Fratrum, Latin for the “Unity of the Brethren,” is the official name of the worldwide Moravian Church. The Ancient Unity, or Bohemian Brethren, was the Moravian Church from its founding (officially March 1, 1457) to its disruption after the Battle of White Mountain (1620), during the Thirty Years’ War (1618-1648). The Hidden Seed was the Moravian Church during its time in the political and cultural underground of Europe after the Battle of White Mountain. The Renewed Unitas Fratrum is the modern Moravian Church, from August 13, 1727, the Moravian Pentecost. A litany is a responsive, standardized church prayer. Moravians have built church services around litanies, for one litany, with germane elements added, has provided the structure for many a service. “Liturgy” is a trickier word to define. This series of posts is Liturgy in the Moravian Church in America, with “liturgy” indicating a predictable pattern of worship, which is my standard definition of it, per Father Peter Ingeman, who retired recently from his position of Christ Episcopal Church, Valdosta, Georgia. 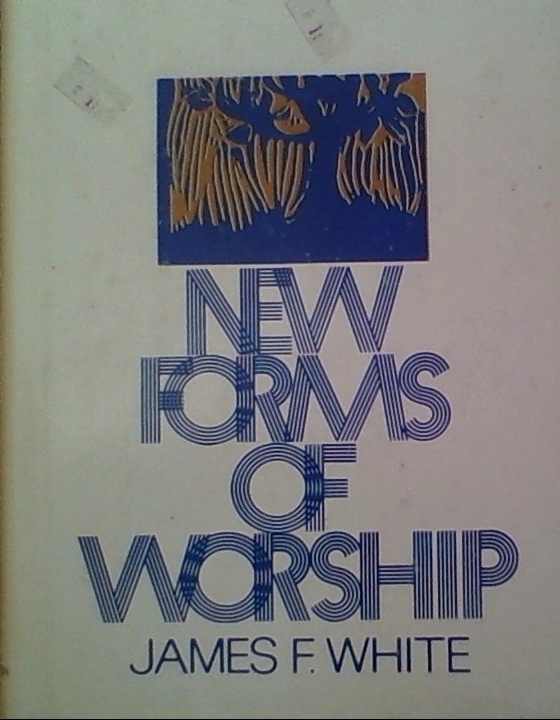 He insisted that even “non-liturgical churches,” which do not use a service book, are actually liturgical so long as they have a regular pattern of worship. In narrow definitions, however, “liturgy,” in Moravian contexts, refers either to the entire worship service or to a long hymn which provides the structure for an entire service. The Moravian Church is the oldest Protestant denomination, predating Martin Luther’s Ninety-Five Theses (1517) by sixty years. The Protestant movements did not spring from nothing. No, they had deep roots. The story begins in the late 1340s and early 1350s, when the Black Death (most likely a combination of agents, including the Bubonic Plague), devastated Europe. Some estimates of the death toll exceed half of the population, but conservative educated guesses are closer to one-third or two-fifths. Even the cautious estimate range (about 33-40%), within less than five years, speaks of economic and societal trauma. Urban workers became more assertive, peasants rebelled, and traditional power structures felt threatened. The Marxian Conflict Theory I learned in college tells me that those structures, given their exploitative and corrupt nature, deserved all the rebellion with which they had to contend. Among the most powerful and scrutinized institutions was the Roman Catholic Church, which has had its ups and downs over nearly two thousand years. Each Christian should have a direct and unmediated relationship with God. Priests and the Church were not necessary as mediators; Christ is the only mediator. No national Church should have to endure or tolerate Papal interference. The Holy Scriptures should be available to the people in their vernacular language. Thus Wycliffe began the project (1380-1397) of translating the Latin Vulgate of St. Jerome into English. From Wycliffe came to the tradition of English-language Bibles. The doctrine of Transubstantiation of the bread and wine at the Mass lacks Scriptural support and is false. Wycliffe, who condemned the corrupt Papacy (headquartered at Avignon, France, not at Rome), under the influence of the French monarchy, had to retire from Oxford in 1381. There was no Inquisition for him, but authorities had scapegoated him for the Peasants’ Revolt that year and forced him out of office. In the next century, however, on Papal orders, officials exhumed his bones and burned them. Wycliffe was officially a heretic. Yet ecclesiastical authorities failed at killing Wycliffe’s ideas, which Jan Hus and Martin Luther credited as influences. Then there were the Lollards, an English group which expanded upon Wycliffe’s theology. They sounded very much like Protestants (a word which did not exist until 1539) for they rejected the entire Roman Catholic sacramental system and refuted the doctrine of Purgatory. The Lollards, composed mostly of artisans and merchants, were a theological minority group. They, like many other minorities over time, were quite unpopular. John XXIII (r. 1410-1415), whom I hope nobody will confuse with “Good Pope John” XXIII (r. 1958-1963), a great and holy man. The Council of Constance deposed Gregory XII and Benedict XIII (for real this time) as well as the first John XXIII, replacing them with Martin V (r. 1423-1431). There remained unfinished business from the Great Schism, however, for there was one Clement VIII (r. 1423-1429), who reconciled with Rome and spent his last years as the Bishop of Majorca. And there was one Benedict XIV (r. 1425-? ), who disappeared from history. The Papacy was, however, back in Rome without serious question of that fact. During the Great Schism of the Papacy the kingdoms, empires, and principalities of Europe lined up in support of one Papal claimant or another, creating a mess which did not cover the Roman Catholic Church in glory. This was a theological question of the utmost importance for many people, for many people thought that following the wrong Pontiff might lead them to damnation. Meanwhile, the list of Roman Catholic martyrs become longer and questions regarding ecclesiastical authority became more widespread. Hus, who made the University of Prague a hotbed of Wycliffian and Lollard thought, ran afoul of the Council Popes. Alexander V forbade Hus from preaching and ordered the Archbishop of Prague to burn copies of Wycliffe’s books. Hus remained defiant. The first John XXIII excommunicated Hus fully and an interdict on his followers. Hus remained defiant. The Church, on the authority of the Council of Constance, burned copies of his writings and the man himself on July 6, 1415. Among the forty-seven charges of heresy were denying Papal infallibility, supporting the right of priests to marry, and condemning indulgences. Jan Hus was dead, but his ideas and those he found and spread abroad remained alive. They continue to live, of course. And the Moravian and Episcopal Churches observe the feast of Jan Hus on July 6. Among the strengths of Roman Catholicism is centralized authority (except during the Great Schism of the Papacy, of course). This facilitates abuses (such as the Inquisitions) sometimes, but does provide for order. Such order was sorely lacking in the nascent Hussite movement immediately after the martyrdom of Jan Hus, hence the Hussite Wars (1420-1431) and subsequent violence. Related to theological disputes was the politics of monarchy in Bohemia, a thicket in which I refuse to become lost in this post. Another thicket I choose to avoid is the complexity of Hussite factionalism during those early decades. The two major factions, however, were the Calixtines/Utraquists and the Taborites. Terms such as “radical,” “revolutionary,” “liberal,” “conservative,” and “reactionary” are inherently relative to the center, wherever that is in any given context. So I hope that you, O reader, will understand what I mean when I write that the Calixtines/Utraquists were revolutionaries and radicals, for they were Hussites in mostly Roman Catholic Europe, but they were, by the standards of other Hussites, conservatives. They, based out of the University of Prague, considered partaking of the Holy Eucharist crucial to salvation. The sacrament, they insisted, must be in both kinds–bread and wine–as opposed to the traditional practice of giving the laity bread alone. The Calixtines/Utraquists also favored civil courts alone, meaning the abolition of special eccleasiastical courts for the clergy. And they opposed political activity by members of the clergy. The Calixtines/Utraquists, with aristocratic support, were the established Hussite faction. Many of them, being relatively conservative in their political-religious milieu, returned to Holy Mother Church. In contrast were the Taborites. They borrowed a page from Acts of the Apostles 4:32-37 and lived communally, without private property. They were closer to the Lollards than to the Calixtines/Utraquists, rejecting the Roman Catholic sacramental system, accepting only two sacraments, and embracing iconoclasm (in its original meaning). The Taborites also rejected “worldly amusements” and called for violence against aristocrats, such as those who supported the Calixtines/Utraquists. Many of the Taborites expected Jesus to return in 1420. That prediction proved as inaccurate as did all other prognostications of dates for the Second Coming. The Adamites split off from the Taborites. The Adamites not only committed violence against people (such as Roman Catholics) who disagreed with them, but considered themselves the elect of God. And they practiced nudism and considered marriage sinful. One goal of the Adamites was to return to the pre-Fall Edenic state of human innocence. They failed, and Taborites all but exterminated the sect in 1421. Violence between the Calixtines/Utraquists and the Taborites continued for years, even after the official end of the Hussite Wars. It was literally a bloody mess. We are not quite sure of he year, not to speak of the month. If the Moravian Church must have a birthday, March 1st, 1457, will do as well as any other; but the truth is that on this point precise evidence has not yet been discovered. Regardless of the state of discoveries in Moravian history since 1909, one does find a consensus regarding the identity of the founder of the Unitas Fratrum. He was Gregory the Patriarch (circa 1420-1473), nephew of John Rockycana, the Calixtine/Ultaquist Archbishop-Elect of Prague since 1448. Gregory, a former monk and the son of a knight, found Peter of Chelcic (circa 1390-circa 1460), a Taborite preacher, influential. Thus the Unitas Fratrum emerged from the mixing of Calixtine/Ultaquist and Taborite influences. Strong Wycliffian and communal strands came via the Taborite influences, but the initial settlement in the Kunwald Valley had support from King George Podiebrad and Rockycana, who interceded on behalf of the Moravians with the monarch. In essentials unity; in non-essentials, liberty; and in all things, love. Moravians have disagreed about what is essential, but their denomination has traditionally been one of the more tolerant Christian bodies. Thus they have been fine witnesses for Christ amid the notoriously fractious and schismatic branch of Christianity called Protestantism. Many of these schisms have occurred for legalistic reasons. Just over a century old, for example, is the Church of God (Guthrie, Oklahoma), which formed in protest against perceived liberalism in the Church of God (Anderson, Indiana). That alleged liberalism consisted of deciding that men wearing neckties to church were not violating Biblical standards. Neckties remained ungodly in the Guthrie denomination. The Ancient Unity created its ministerial orders–the priesthood and the episcopate–in 1467. The present Moravian bishops stand in succession with the earliest bishops of the Unitas Fratrum. Among the most influential bishops of the Ancient Unity was Luke of Prague (circa 1458-1528), who joined the Bohemian Brethren in 1481. He was the young Church’s most influential theologian and writer, especially of hymns. And what else are hymns but sung theology, especially for a denomination for which congregational singing is a hallmark? Luke might have been one of the editors of the Czech hymnal of 1501, the first Protestant hymnbook. 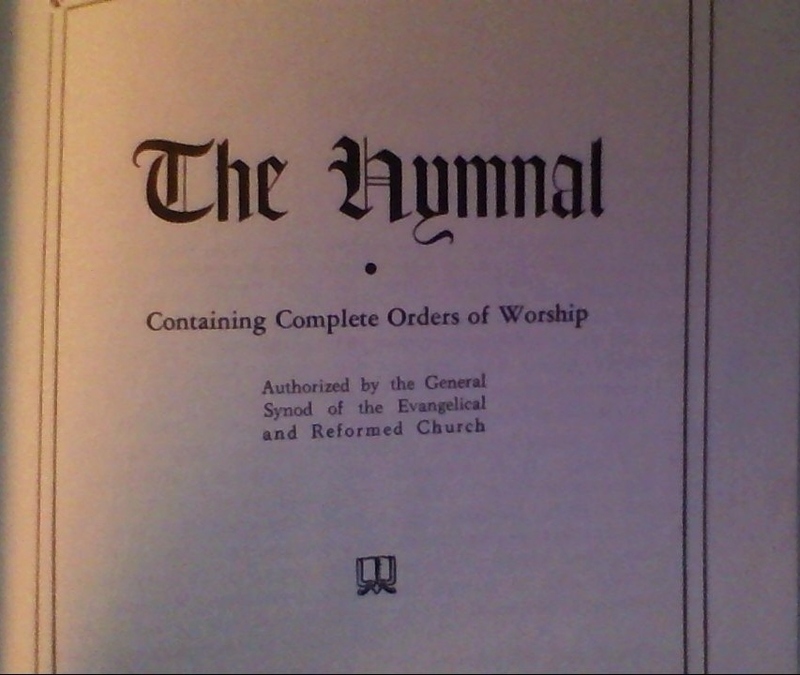 Information about this volume of eighty-nine hymns is sketchy, for no known copy of the book exists. We do know, however, that Luke edited the Czech hymnal of 1505, the first proper Moravian hymnbook. Again, no known copy survives, but sources indicate that it contained about 400 hymns. And Luke edited the Czech hymnal of 1519, of which no known copies survive. (I detect an unfortunate pattern regarding the lack of availability of primary sources.) This volume contained Roman Catholic texts translated into Czech, indicating the editor’s receptiveness to the best of that tradition at the dawn of the Protestant Reformation. The first German-language hymnbook of the Brethren debuted in 1531. Michael Weisse, the editor, provided a book of 157 hymns with tunes. (In fact, all of the early Moravian hymnals, starting with that of 1505, contained words and music.) Weisse, however, included hymns with a Eucharistic theology which rejected the real presence of Christ and favored the Zwinglian position of a purely symbolic act. Thus, in 1544, Jan Roh (Anglicized as John Horn) (circa 1485/90-1547) revised this hymnal, replacing certain texts and changing the Eucharistic theology to indicate the real presence. Three known copies of the 1544 hymnal remain. Roh/Horn was qualified to evaluate theology, for he had worked on the official Moravian confession of faith in 1532 and 1535 and, like Luke of Prague before him, engaged in theological dialogue with Martin Luther. Roh/Horn had also edited the 1541 Czech hymnal, a revision of the 1501 hymnbook, of which no known copies exist. There were also Polish-language hymnals before the Polish Brethren merged with the Polish Lutherans in 1570. The first hymnbook was that of 1554. The second, revised and enlarged from the first, debuted in 1569. Jan Blahoslav (1523-1571), a bishop from 1557, wrote Musica (1558), a book about how to sing hymns properly. Three years later he finished editing the Czech hymnal of 1561, which contained 761 texts and more than 450 melodies. Kirchengesang, the German-language Moravian hymnal of 1561, contained 348 hymns plus an appendix of 108 Lutheran hymns. This volume was as much about politics as it was about theology in a setting in which the separation of church and state was a novel idea. This book, reprinted in 1580, remained in print in the subsequent editions of 1606, 1639, 1661, and 1694. Religious persecution had been a reality for the Moravian Church since 1461. By the early 1600s, however, the situation had become dire. Evidence of this comes via the Czech hymnal of 1618, some copies of which survive. The annotator, whose job was to identify the authors of texts, stopped by the middle of the volume. His fate remains a mystery, but one might surmise reasonably that it had something to do with the Thirty Years’ War (1618-1648). After the Protestant defeat in the Battle of White Mountain (1620), Roman Catholic forces drove the Moravian Church underground, seized Moravian church buildings, and nearly extinguished the Brethren. Yet a “hidden seed” survived for about a century. The Moravian Church weathered a severe storm for about a century. One reason for its survival was Jan Amos Komensky (Anglicized as John Amos Comenius) (1592-1670), a bishop who wrote a history of the Unitas Fratrum, reprinted the catechism and the confession of faith, maintained the continuity of the episcopate, and spent two periods in exile. His written legacy proved crucial to maintaining the Church. Indeed, in the 1720s, when Moravian fortunes were brighter, the faithful depended greatly on the works of this great man. And, at that time, there was still an episcopal line because had passed the torch before he died. Comenius, whom contemporaries recognized as an expert and pioneer in the field of education, edited the last Czech hymnal (that of 1659) of the Brethren. He did this in exile in Amsterdam and designed the volume accordingly, for it was sufficiently small to fit inside a pocket. Comenius had done much to preserve the hidden seed of the Moravian Church. The work of facilitating its renewal fell to another man. That man was Count Nicholas Ludwig von Zinzendorf (1700-1760), who owned a large estate at Berthelsforf, inside the current borders of the Federal Republic of Germany. Zinzendorf, a Lutheran, proved to be the most influential figure in the Unitas Fratrum in the 1700s. Not only did he provide a safe haven for Moravians at his estate (starting in 1722), but he, a Lutheran minister from 1735 and a Moravian bishop from 1737, wrote sermons, Bible commentaries, and more than 2000 hymns. 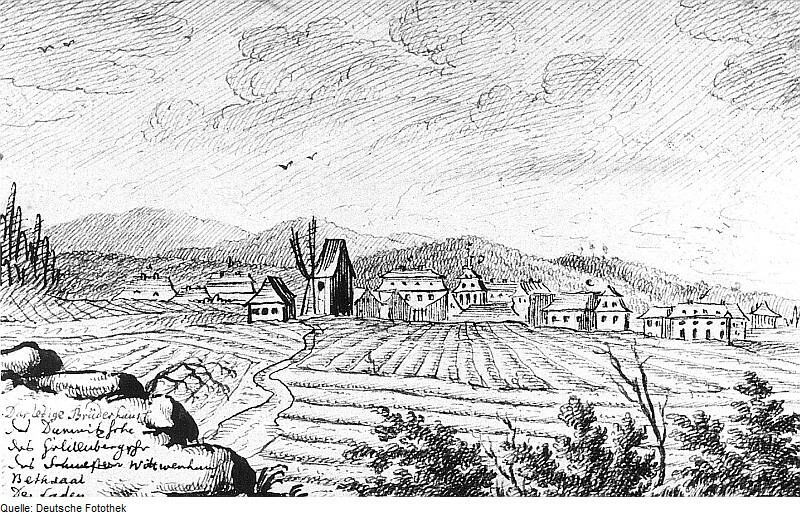 Moravian exiles formed a village, Herrnhut (“the watch of the Lord”) on Zinzendorf’s estate in 1722. For five years substantial differences among the Brethren remained, but the Count formulated the “Brotherly Agreement,” which the Moravians adopted on May 12, 1727, to settle these disagreements. Three months later, at a Wednesday service in preparation for the Holy Communion at Herrnhut, the congregation found a sense of unity. The date was August 13, 1727, the official date of the founding of the Renewed Unitas Fratrum. The event, according to Zinzendorf, was the Moravian Pentecost. Among the oldest Moravian forms is the Church Litany, based on a text which Martin Luther wrote, in turn based on a Roman Catholic litany. The rather lengthy Church Litany constitutes the basis of a separate, non-preaching service. Baptisms and ordinations are among the optional elements one might plug into it. Moravians have used the Daily Texts since 1728. These function well as either congregational or individual devotions. They draw from the Bible and hymns, for hymns function prominently in Moravian theology. Lutherans emphasize their core doctrines in written confessions of faith, such as those in the Book of Concord. But the Moravians, who have original and secondhand confessions of faith (even from the Lutherans), use hymns to emphasize core doctrines more than Lutherans do. One may purchase each year’s copy of the Daily Texts from Moravian provincial publishing houses and read each day’s Daily Texts at official websites, such as this one. Related to the Daily Texts are the watchwords, which also started in 1728. The now-traditional baptismal service dates to 1730. The now-traditional Communion service dates to 1731. The now-traditional Easter dawn service dates to 1732. The now-traditional Watchnight service for New Year’s Eve dates to 1733. Other traditional Moravian services came later. Moravian missions began in 1732. (The Moravian Church Desk Calendar and Plan Book 2014 lists August 21 as the anniversary of that event.) The mission to St. Thomas started in 1732. The Greenland mission followed on January 19, 1733. And the missions to the mainlands of South America (at Suriname) and North America (at Georgia) began in 1735. Thus Part II of this series will begin with 1735. Ecumenism has long been one of my priorities. Yes, I have staked out my ground (generally socially and theologically liberal yet somewhat liturgically conservative, consistent with much of early Anglican Catholicism), but I do not pretend or presume that everyone ought to be like me. I have opinions, by which I stand, but Christian traditions other than my own enrich my spiritual life. The best of Moravianism overlaps significantly with the best of my adopted Anglicanism; collegiality is a shared value. Rome is Holy Mother Church; I respect her while admitting my disagreements with her. And the Vatican has admitted and apologized for shameful periods of church history, such as the Crusades and the Inquisitions. It has even rehabilitated Galileo Galilei (1564-1642), whose alleged heresy was stating that the Earth revolves around the Sun, thereby calling into question centuries of bad theology predicated upon an erroneous understanding of the solar system. He also placed the words of the Pope in the mouth of a blathering idiot in the Dialogues, an impolitic action. And, at the time, many Protestant leaders were as dubious of the Copernicus-Galileo hypothesis as Rome was. Pope Francis has done much to bring glory to the name of Christ; may the Holy Father continue to succeed in that effort. His Papacy is possibly the best thing to happen to the Roman Catholic Church and the rest of Christianity in a long time, despite much persistent anti-Roman Catholic bias in the right and left wings of Protestantism. The Moravians do not constitute an ecclesiastical presence in my vicinity, so geography is one factor which keeps me separate from them. Certain theological differences would have the same effect if geography were not an issue, however. Nevertheless, the Moravians, I am convinced, have contributed much that is positive to the Universal Church and continue to do so. The world is a better place due to their presence. During much of the researching and drafting of this post I played (again and again) a compact disc of early American Moravian music to get into the proper intellectual and cultural context. It is lovely music with a distinctly European classical sound–just the kind of genre I like. So, if you are interested, O reader, I encourage you to seek out by means both legal and ethical Lost Music of Early America: Music of the Moravians (1998), by the Boston Baroque, Martin Pearlman, Director. The number is Telarc CD-80482. Until Part II, O reader…. Ackroyd, Peter. Foundation: A History of England from Its Earliest Beginnings to the Tudors. New York, NY: St. Martin’s Press, 2011. Cantor, Norman F. In the Wake of the Plague: The Black Death and the World It Made. New York: The Free Press, 2001. Reprint, paperback, 2002. Cary, Phillip. The History of Christian Theology Course Guidebook. Chantilly, VA: The Teaching Company, 2008. Hutton, J. E. A History of the Moravian Church. London, England: Moravian Publication Office, 1909. 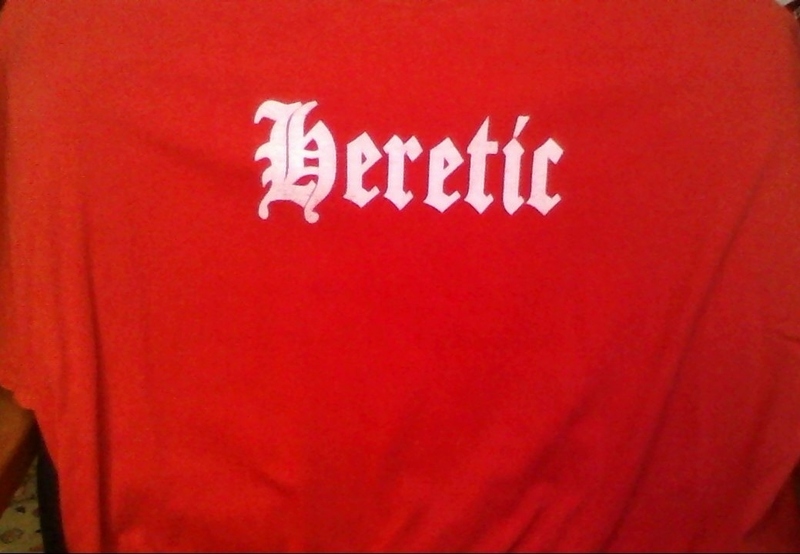 Reprint. Kelly, J. N. D. The Oxford Dictionary of Popes. New York, NY: Oxford University Press, 1986. Metzger, Bruce M., and Roland E. Murphy, eds. The New Oxford English Bible with the Apocrypahal/Deuterocanonical Books–New Revised Standard Version. College Edition. New York, NY: Oxford University Press, 1994. Moravian Church Desk Calendar and Plan Book 2014. Bethlehem, PA: Interprovincial Board of Communications, 2013. Moynihan, Brian. The Faith: A History of Christianity. New York, NY: Doubleday, 2002. Stearns, Peter N., ed. The Encyclopedia of World History: Ancient, Medieval, and Modern Chronologically Arranged. New York, NY: Houghton Mifflin Company, 2001.